At this budget, we're running an i5-8600K. This hex-core CPU features an unlocked multiplier for easy and often significant overclocking. While not all games will benefit from overclocking, games like Overwatch and Battlefield 1 can benefit significantly from a faster CPU. Overclocking can also help your CPU stave off obsolescence for a good while longer. To make the most of the overclockability, we're adding the Fractal Design Celsius S24 liquid cooler, which will really let you push the CPU. 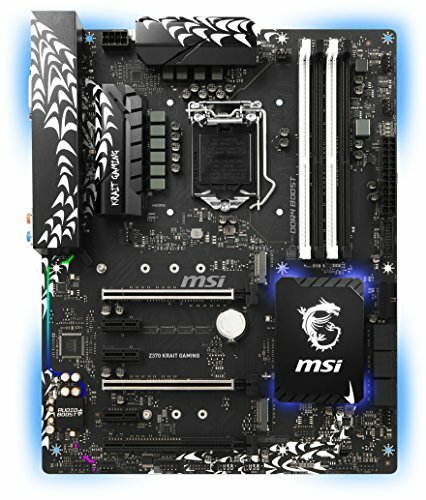 We're using a parametric selection of motherboards that keep with a black and white theme. The parametric selection will actively choose the best-priced motherboard of the group. All motherboards in the group use the Z370 chipset, which allows the i5-8600K to be overclocked. Additionally, they all have 4 DDR4 DIMM slots and are capable of using the CPU's integrated GPU, in case you need to RMA your GPU or are waiting for a sale or upgrade of using the CPU's integrated GPU. How much more does that cost? Just curious. From $260 to $370, so $110 extra. This build looks amazing and I'm considering building it, but are there any cheaper options for the GPU? 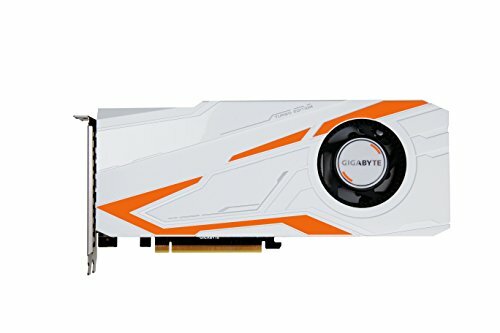 Will going with like a 1080 6gb hurt the rest of the build at all? With all the crypto currency mining going on lately, it's generally a bad time to buy a GPU unfortunately. It's honestly one of the worst times I've ever seen to be building a new PC. Be better right now to just go with building a 1050 Ti setup, or even a DDR3 configuration ,and wait a few years until the world is done being stupid crypto-mining. Honestly, if you look up how people build these giants bitcoin farms on China literally hundreds and hundreds gpu’s farming cryptocoins, when i saw that it became very clear that this will not end anytime soon, the only choice we have for now is to go with Nvidia’s solution of buying on their online store, reference cards are not the best but it is better than an 800-1,000.00$ 1060-1080(i hope amd will come with a similar solution too), literally i worked so hard to save up for my new pc build and these happened. On top of that the ram manufacters are doing fishy stuff again(price fixing), things like that just ruin everything for new people wanting to enter this community. I notice if I watch Amazon close enough, I can get Amazon Warehouse prices for 1060 6GB's (~$290) and buy it pre- order. It seems the 1070's and higher I can never find for close to stock prices at all anymore. Bitcoin is in a big bubble right now, and as with stock markets, it will only be able to rally so high before it comes crashing down. Its own volatility will be its own undoing. Until it stabilizes, there are options but very limited. Since I can find ok prices for that 1060 6GB through Amazon I'll get that and slowly start over piece by piece, where ever I can find decent pricing. I'm not holding my breath these price spikes are going to end anytime soon, so I'm going to just dive back in and save as much as I can. I've been planning on a similar build with the GTX 1080 but I've just had so much trouble finding adequate prices or in-stock GPUs. I just hate how the crypto mining is just driving GPUs to such high demands. I'm going to be putting the blame square on the shoulders of those companies on Amazon and such pricing their 1070's at $700-$800. No matter what card it is, it's over-priced by at least $200 right now thanks to those companies. However, the Crypto mining "economy" is very over-inflated in a bubble, and just like the American economy did back in 2008, it will collapse to balance itself out. PC component prices will do so also in time. No kidding. That's good to know, thanks. If I get an ASUS brand from BandH company, that'll run me about $700 by itself. Might as well get the CPU cooler for around the same price. I just went there and instead of an "Add to Cart" button it showed a "Notify Me" button. Out of stock maybe? This wasn't only in the Nvidia site, I saw it in EVGA for a while now too. Some pre-built PC's comes with their GPU at msrp prices. The 1070 and 1070ti are right in the 1440p 60fps range in terms of performance. The 1080 is kind of the overkill 1440p card. It won't play everything at 4k 60fps. If you are going to be playing at 1080p, the 1060 6GB will be great. if you go for a gtx 1080 make sure that it isn't over priced. if it is over $600 then you should abandon the idea of buying a gpu at this time with the current market. In this part list the gpu used to be about $750+ now it almost the price of a Titan X. Sadly right now is the worst time to build a computer in recent times. It's actually better price/performance in this market to just buy a titan xP, still not a good idea but it's just funny how that works right now. Won't hurt the rest of the build. Just be mindful that the GPU in this build is liquid cooled which requires the radiators to be installed somewhere in the case. I would suggest going for EVGA Hybrid 1080 as it is liquid cooled and almost the same dimensions. I want to build a pc but I have no clue parts are compatible. My concern is when I buy parts, they will not work or fit together. I want to be able to buy the parts, put them together and then install windows without any cutting or reordering of parts. Can anyone help me? 2 things you can do. First is your build list on this website will throw up incompatibility warnings on nearly all items that aren't compatible (a few can fall through the cracks). The second thing you can do is once you have a list, post it in the "part list opinions" forum section. Ask if everything is compatible. The people there will help you quickly. I can get behind this. I would just swap the case and HDD for something of my preference-HOLD ON, A 650W PSU?! REALLY?? THAT'S OK? What about two 1080's or 1080Ti's? 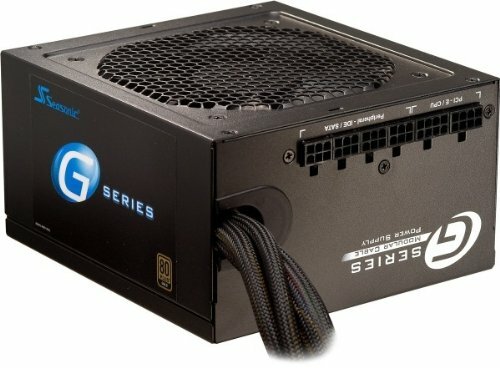 With two 1080 Tis, I'd probably be most comfortable with an 850W PSU. You definitely couldn't use a 650W unit. You can add the parts to a list and check what our wattage calculator says and go from there. I figured the Ti's would be best with 850w. I know we have the wattage calculator, I just don't fully trust it because it's just an estimate and it doesn't account for the factory overclocks. Or does it? If the manufacturer reports a higher than normal TDP, we factor that into the wattage calculation. Did you know, that a system with two 1080s in sli only use around 450W??? Well, now you know! Why don't the 8x00 series Intel CPUs show up on the list of compatible CPUs for this build? What are the thoughts on bumping to an i7-8770k, are the performance increases insignifigant? I've heard its better for multitasking and multi monitor setups which is big to me. Why that 1080Ti over the 1080Ti mini? When you are already spending $1500+ on a PC alone you should just go all out already. There is no such thing as have to. You might aswell say "Hey, why spend $2500 on an i7 8700k 1080 ti sli build when you can build a threadripper". There is a fine balance on parts when it comes to value over performance. In terms of value, the i3 8350k is at a value never really seen before, where an i3 beats out every old i5 and i3 on the board along with most of Ryzens low end lineup, but it doesn't have the perfomance of the i5 8600k. Sam can be said with i5 8600k vs the i7 8700k, theres less value in the 8700k but much more performance, but in games that performance goes unnoticed as very few games don't use hyperthreading. So the i5 8600k is the perfect middleground. Hi,I've never built or even had a PC before so please have some remorse for me. If I were to get all these parts and build the PC, it would be able to run all new games and stuff really well right? I'm assuming I't does but I wanted a bit of clarification. I would be using this for simply gaming, and maybe a bit of typing for school work. Is this build the way to go or not? Please let me know, and like I said earlier, I'm 100% new to this so don't flame me. Thanks. Edit: Is there any parts I could change so it's not as expensive but still works as good? Yeah what are the games you are looking to play on your future pc and how much would you want to spend? How fantastic do you want it to be? Definitely think about what you want before you start buying. A good beginning for a medium pc that runs most games pretty well for a low cost is Ryzen 5 or 7 series with a GTX 1060. This setup is much less money and a good start. If you play low graphics games you can go a lot cheaper. Send me a message if you ever need some help with stuff. Try using userbenchmark in combination with Youtube to get average perfomance numbers along with price and value and you should get a very nice answer at almost any price range. Shouldn't the SSD parametric filter be from 480GB+? There are some SSDs that are slightly smaller than 500. Why a blower style card. Probably because of the case setup. The crystal has a bit iffy airflow so a blower makes sure the case is cooler because it acts like an extra exhaust fan. WOW look how the prices of this build have increased. Thanks to the Crypto Currency Miners. They are ruining PC gaming. Unfortunately, the price of GPUs has blown up big time very recently. Can sb explain what i missed with GPUs? why are they so expensive? Crypto currency mining. It is getting bigger by the day and people buy high end GPUs for their relatively inexpensive hashrate compared to dedicated miners. Will this build also work with my GTX 1050 Ti? It might not, as crypto currency is becoming more popular by the day. Ever since bitcoin hit a value of near $20,000 the amount of miners has skyrocketed so don't be too sure that prices will change for the better. The same thing is happening to Nvidia and their resellers as happened to AMD Vega. Pretty dope... but I would still prefer an AMD CPU since the whole bypass with Intel's. I don't trust Intel anymore. Hey guys is this good for a first pc? Also do I need to pick an operating system and software? Thanks heaps, that list is cheaper too! Will this be able to run most games at high settings with a solid FPS? Thank you, this is my first time building a pc, that is why I don’t know much. Hopefully I don’t break anything trying to put it together. AMD.... not even comparable to an Intel build... I completely agree with the 1070 choice but you'll be MUCH better off with a M.2 SSD instead of a SATA one. Yeah it is about $100 more for the same size but it is 4-5x faster. People should step away from an Intel based system due to their hole in their security. With the new patch to fix the hole it slows your processing power to 2/3 or 1/2 of the original performance depending on the CPU. This goes for anything with an Intel based processor. With the update to fix this you can't deny updates on windows 10 so any other OS you are fine. Another problem is that if you have Windows 10 the updated turns AMD based systems into a brick making them not boot. Only follow this guide if you've got money to burn. could build a similar performing system (still Intel) for about $1500. Lose the 1080ti, get a 1070 and upgrade the SSD to a M.2 960 evo. You'll save money and get better performance unless you've got 3 monitors and are trying to game on them in super wide screen. Note: All GTX 1080 Ti's are out of stock, including the one listed at the displayed price, unless you want to spend $1200+/Titan-esque prices. I followed your guide, purchased all items in Canada, except the disk drive (non-SSD) and the GPU. The 'Mining Rush' made prices impossibly high for the GeForce GTX 1080 Ti, and for just about every other option as well... I compared cards, weighting the costs vs performance, and I ended up buying a cheap (but weak) GeForce GT 1030, because I simply couldn't afford anything higher. There's a huge price gab right now between butget cards, that are still quite affordable, and midrange cards that miners also purchase. It was roughly 99$ in Canada. Going anywhere higher meant trippling costs. I'm still looking forward to upgrading the GPU as soon as costs change, (if that ever happens)... The GPU being such an obvious bottleneck right now. Thank you for your guide anyhow. The PC looks truly magnificient and I've managed an extremely stable OC @ 4800GHz with only 1,25 Vcore, and temperatures under Prime95 v26,6 under 73 max, averaging around 63. I would personally go with an NZXT H series case I would also uses a samsung SSD and a 8700k and a Corsair cooler instead. Sadly the first thing I noticed looking at the part list was the price of that 1080Ti taking up half the cost of this build alone. Just oof. Anyways, the build is quite nice and nicely thought out. Thank you for the revisions and sharing. what is the best 32gb memory for this build? Is it worth building a $2000 PC if I have a ****** monitor? $2k is my hard limit, and my original plan was to build a $1500 PC with a $500 monitor, but now with RAM and GPU prices so high I wouldn't be able to get a PC with nearly the specs I could at this price. If If go for a $2k build, I probably wouldn't be able to get the monitor for another 1 or 2 years (college is expensive, man), so I would be stuck with this 720p, 60Hz, 16in, Viewsonic from 2009. I would absolutely recommend adjusting your budget to make room for a monitor upgrade in your case. The Graphics cards out of stock on Memory lane. And now I can't even find the card on any other site for less than $1500 CAD. Hi! I'm kind of a noob at computer building, I know this is a bad time for it with cryptowhatever, but my laptop is busted and it seems a desktop would be a better choice for my needs. I'd like to get something nice if I'm going to bother at all, but in the interest of affordability I was thinking about sticking with the 1060 6GB GPU for now, with the option of upgrading to something better in the future. I'd also like to do the i7-8700k CPU instead. Would following the rest of this build still be good for that? First, if you're just gaming, stay with the i5. These i5s are very capable at gaming and aren't far behind the i7 except in titles that are optimized for crazy amounts of cores, like Ashes of the BenchmarkTM :P And even then they aren't far behind, though those are also the kind of games that i9s and Threadrippers would win in. If you aren't just gaming, take a look at your needs. In some cases, a Ryzen 1700 is better with more cores and being cheaper. In some cases, you might want the balance of high CPU power in the cores and single-thread performance instead, as you have more use cases besides gaming and at the same time got to have every dang frame, which is then where the i7 comes in. Also how did your laptop got busted? Thanks for your response! If you're terribly curious, the laptop was getting frequent BSOD which deteriorated to the point that it no longer boots. I tried to reinstall Windows but it just made the issue worse. I suspect it was a problem with either the SSD or the ram (the crash was always caused by the file system driver), though neither chkdsk or memtest were able to come up with any problems. Unfortunately the type of laptop I have does not make it easy to swap out individual parts, which was why I figured it might be better moving forward to build a machine with parts I can swap. The GPU is because they have the parametric filter, so it automatically defaults to the cheapest option within the specs they have listed. LOL, kind of defeats the point of posting a build guide then. Could just make that filter available to everyone and save the hassle of these. These build guides are just so people have an idea of what you can build for a particular budget, as well as what parts are good for that budget. That's all fine and dandy but with the price variation of the 1080ti it really doesn't help budget of the builder is trying to budget for this amount. Also, crucial is not a company I would feel comfortable with using either. Ordered RAM for a server 8 sticks of the same thing. 4 were Samsung sourced with heat spreaders the other 4 were unidentifiable without heat spreaders. Yea, these builds are outlines at best. I have seen a fair few people use them as a starting point with reasonable success, though. crucial is not a company I would feel comfortable with using either. Don't know about their RAM, but their MX300 SDD's are great. Blowers do have benefits. They are louder, yes. But, the vent the hot air directly out of the case without adding it to the ambient case temps. This makes them a solid choice for more restrictive or smaller cases. Well by loosing the 3TB HDD you still aren't compensating for an i7. the i5 is good enough imo. They have the same amount of cores and since this is a gaming build, that is really all that matters (along with clock speeds and such) but threads don't. So the i7 would be no better at games, maybe by a fraction of perhaps 2-3 fps with everything else being the same. Just like everything in life my man. I don't like this build. Core i5 with a GTX 980 TI. 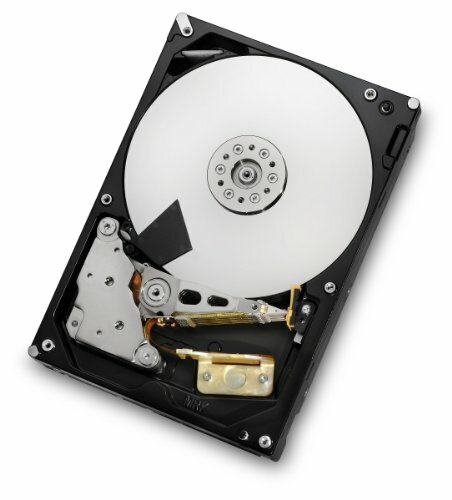 The hard drive is from 2011, a WD Black from 2017+ would blow it away for not much more money. PSU is okay but the budget allows for fully modular SeaSonic. I would drop down to a GTX 1080 w/8GB memory and use that $500 saved to upgrade to Core i7, WD Black 3TB, and fully modular EVGA or SeaSonic PSU. I'd get a Corsair or EVGA PSU instead and get a western digital HDD over a Hitachi one. ... And I'd get a Corsair CPU cooler instead too ... and maybe a different brand of RAM. Other than that, solid build. And if you really want to be picky, go ASUS or EVGA with the 1080 Ti. Also, grammar error in the 'Case' section of the guide. Yeah, I'll admit I'm a fanboy for those three brands, especially Corsair. You get what you pay for sometimes. Corsair is great but my EVGA Supernova that I ended up putting more cash than i wanted to now has buzzing coils, which drives me absolutely insane. Everything else is super quiet, an then there is a constant bzzzzzzzzzz in the back. Brand means nothing when it come to parts. That is not how you should choose parts if you want a good build. Oh sweetie, you're new to this aren't you? Nope, I actually the most comments on the site. Also lovely condescending comment. You are picking parts by metrics that have zero meaning about how good the part is i e.g brand. Brands have low end parts and high end parts outside of stuff like Logysis and Diablotek who solely focus on super low end crappy PSU's. It is all about the exact model/series. Where are you seeing an i7 for less money than an i5? It certainly doesn't give you double the performance in almost anything by the way. I must remind you to also please keep it polite. My comment wasn't directed at you in any way whatsoever. It was in reply to another user. This comment is directed at you though: keep it polite or don't comment on this site. It shouldn't bottleneck it whatsoever. The only downside is the threads which don't impact games at all, only multitasking and editing/rendering which the 6c 6th core and 1080ti already have taken care of. R7 17000 = thread focused (non-high refresh gaming). i5 8600K = non-thread focused (high refresh gaming). How the hell are you comparing these completely different oriented chips? But if you don't need the extra threads why would you go with the 8700? I'm not saying it's a bad chip. Just not going to be as good as the K variant for higher refresh rates. Based off what? Hyperthreading has been around for quite some time, yet there are still very few games that can take advantage of a lot of threads. It's wasted money for gaming. You don't need to spend 141$ on this cooler. Anything between 15-40$ with a fan will work perfectly fine. You also forgot to add in the thermal paste. Case is pricey for no reason and why spend so much money on storage ? you could reduce that by a 100$ by having a 250gb ssd that's actually many times faster ( evo series) and have another storage unit that'd be an hdd for 1 tb. Anything between 15-40$ with a fan will work perfectly fine. No, no, no. Coffee lake runs quite hot comparative to other cpu architectures. Something in the price range you indicated will be barely sufficient for cooling the 8600k (expect temps in the 80s to 90s in a synthetic load). And this is non-overclocked. To cool it reasonably well with a good OC, you'll need something like a double 140mm fan noctua nh-d15 ideally, or a 240mm or higher AIO. get 32gb of ram which will improve your performance. Most games today don't even use more than 8gb of ram, that is why most people settle for 16gb as a comfortable amount. 32gb is just overkill for 99% of people and will NOT improve your performance by any appreciable amount. The graphic card you chose isn't even 10% better than the 1070 ti and costs about 25% more. This is complete ******** as well. Many games that exceed 8GB of RAM usage do so because they have too little VRAM and the standard memory picks up the slack. Not all cases, but many. Getting anything with memory that isn't a mobile device is a nightmare right now. The cooler they chose, like most, includes thermal paste. Additionally, the cooler they chose will allow for heavy overclocking (which is incredible on the 8600k-- @5.0GHz after running prime95 for 20+mins https://imgur.com/a/5KEd0 ) the heavy overclocking capabilities on the 8th gen of Intel cpus is beyond astounding with a good cooler (and motherboard). Or, a good cooler like the one they used will keep the build quiet, the temps cool, and will still allow for overclocking down the road so they don't need to do as many future upgrades to keep the pc up to par in years to come. They included that much storage most likely so people can store large files. And with a 1080ti you can watch movies and what not at ridiculous resolutions. And the higher the resolution of something the more storage space it takes up. Plus with a gpu like that you would most likely playing a good amount of AAA titles and overtime that amount of games will add up. As for the ssd. the parametric filtering is automatically picking the crucial over the samsung because it is cheaper (The parametric filter they have setup is setting it to automatically the cheapest 500GB or more SSD). "it's called "magnificent" fora reason." Don't go trash commenting like this, do some research first. Thermal paste is included with cooler. 32 Gb is overkill. 1080 Ti is a major performance improvement. A 500 gb SSD is also better, but I agree a smaller HDD would be better. Most importantly the cooler is actually fine, Coffee lake runs fairly hot. I do agree on the case, however. This is a new i5, not a 7th gen one. What kind of difference does that bring? Well it's got 6 non-HT cores, and a lot of modern titles are happy enough with it to work great with the 1080 Ti. This isn't the 4 core one where it was pushed to the limit with the 1070/1080. That said, at the price the 1080 Ti is at now, I'd upgrade the GPU to a Titan Xp, not that much more and it's something that can beat the 1080 Ti. i7 comes with hypertreading. Meanwhile for the i5, doesn´t come with hyperthreading. This is useful for games that are CPU-intensive game. The hyperthreading doesn't currently play a huge role in gaming because most games can't take advantage of more than 6 threads well anyway. At least as of yet. The GeForce GTX 1080 Ti is very popular. There's a lot more than one GTX 1080 Ti, and the parametric filter sorts through most of them. A lot of cringe-worthy comments going on in here. Sorry you gotta deal with it. I think he meant the model of the gtx 1080 ti. I know he did. He was misinterpreting a statement in the guide. That's why I was clarifying it.